Welcome to the Fall Splendor Blog Hop with PaperHaus! 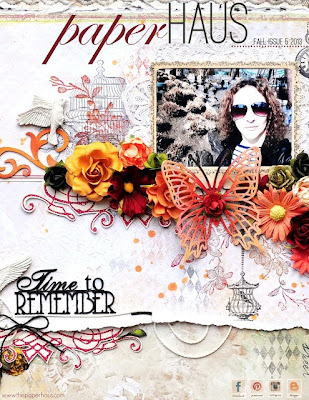 We are celebrating the release of the new FALL edition of PaperHaus Magazine but also celebrating the 1 year anniversary of PaperHaus Magazine! We are excited to be part of this amazing celebration! The Fall Splendor event is filled with inspiration from PaperHaus and our blog, so make sure you click through every blog for inspiration! Click HERE for the magazine link. I went beyond the page for the project that I am sharing. 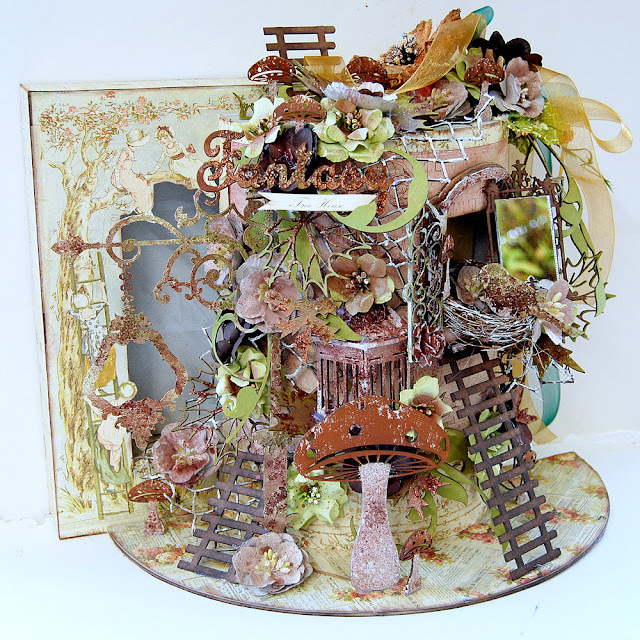 The inspiration came from a childhood classic read, 'The Magic Faraway Tree' and the colors influenced with the changing splendor of the Autumn season - or for my OS friends 'Fall'. 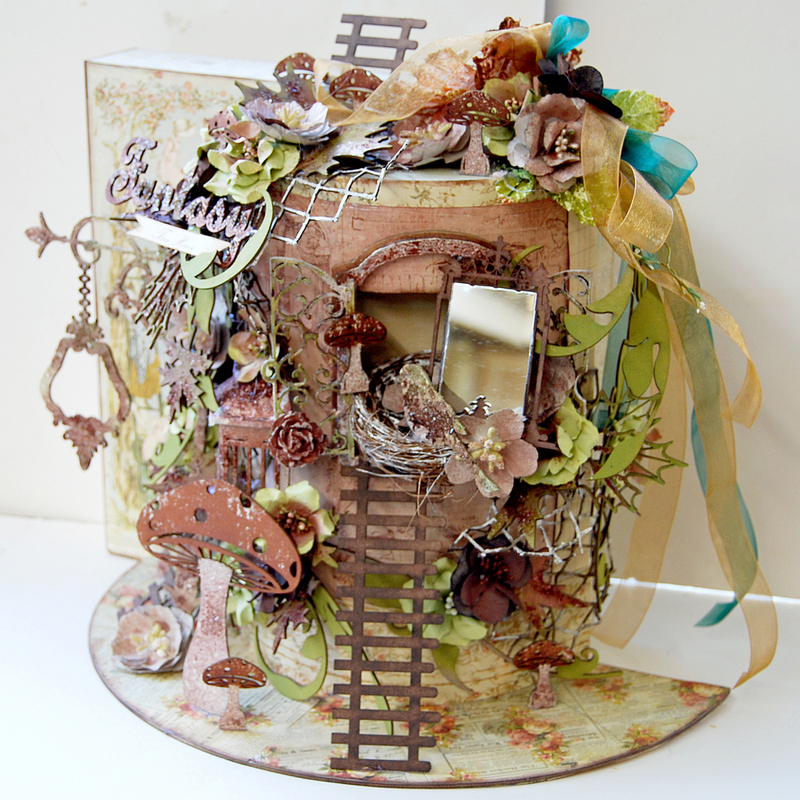 Twiddleybitz Chipboard Leafy Flourishes cascade over the hat arrangement along with green and oatmeal Manor House Creations blooms incorporated to represent foliage. Some of the flowers were misted to represent the changing of the season. 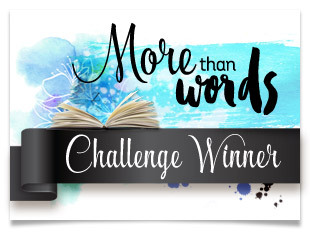 There's a chance to win an amazing daily prize as showcased on the PaperHaus blog! Talking of amazing prizes, I'm sure you'd love to win this sponsored by Viva Las Vegastamps?! All you have to do is follow along the blog hop, leave comments on each post and you're in the draw!!! Too easy! Winners will be announced on 17th September for all the posts. So make sure you come back then to find out if you're one of the lucky ones. 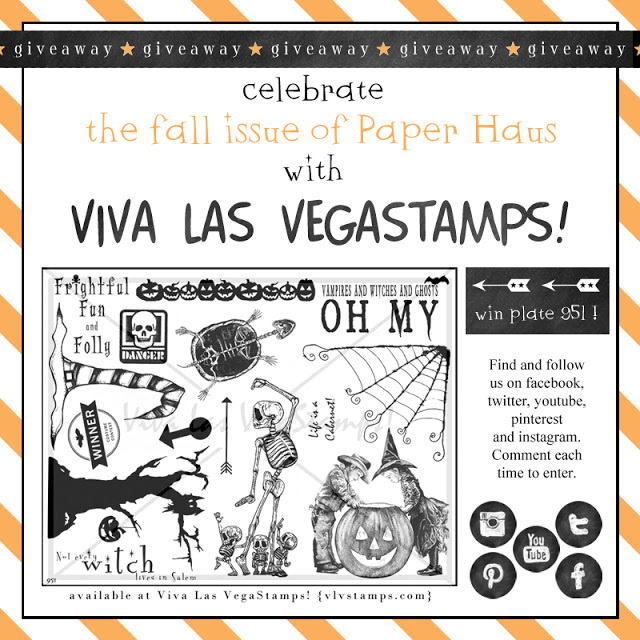 We hope you enjoy this blog hop. 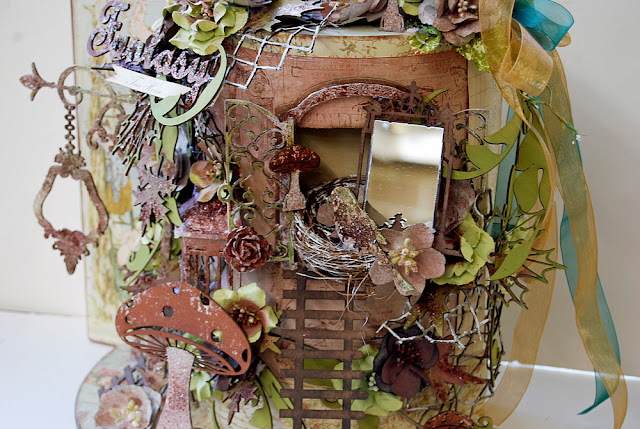 Remember the Fall Splendor Blog Hop runs from September 1st to the 15th so plenty of time to be inspired! Thanks's so much for hopping by! Stunning! absolutely stunning! So detailed right down to the little ladder going to the door. You must have put in a lot of time on this! Gorgeous! A new follower! Maybe one day you can visit me? Always need a friend! :) All the best! ...um..WOW!!! I'm absolutely speechless--this is amazing!!!!! Wow - this is exquisite - so many amazing details and so beautiful to look at!! Very well done! Amazing is an understatement! I'm trying to figure out what the structure is in the middle that everything was built around. Wow. Out of everything that I have seen on this bloghop (since day ONE) this is by far my favorite project! Thank you for sharing and keep those inspirations coming. Wow that is amazing. One really has to take the time to look and see what is all there. There is so much its wonderful. Thanks for sharing. WOW!!! What else can be said? Fabulous details! Amazing work! Oh my Goodness,this is Fabulous...I love it,the colors are gorgeous and remind me of a fall day in Maine ...we don't have those colors where I live now and miss it immensely! Very creative and such an inspiration..thank you so much for sharing! So many little details to explore! This must have taken forever to complete. Thank you for sharing with the rest of us. This is so cool! I kept looking and hoping a little gnome would pop out! This is so awesome! So many different things to look at. Thanks for the inspiration. Amazing, talk about details, every inch has something else to oh, and ah over, wow! wonderful, fantasy playhouse. Beautiful project. 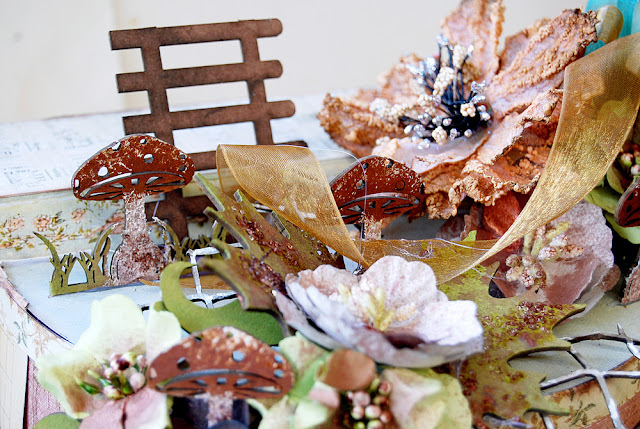 beautiful project, loved the scene of changing seasons. What an amazing project! There are so many details that it's hard to find them all! Very pretty. Wow! This is incredibly fantastic! OMG that is such a gorgeous fantasy display. I absolutely love it! Incredible!!! This is such a gorgeous layout. This is gorgeous! The little ladder and the mushrooms - so many beautiful details! What a neat project! It is so pretty! Fantastical! I am in love with this! 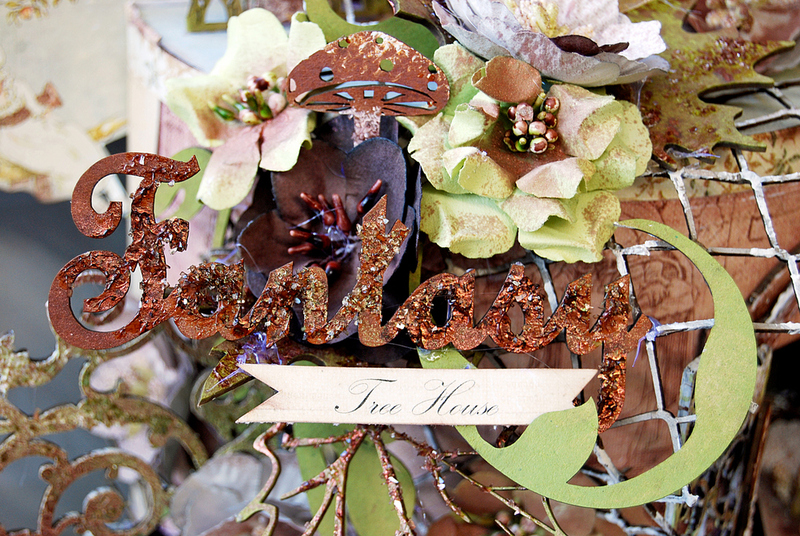 I love fantasy and ethereal type stuff so this is right up my alley! Love the toadstools and all the flora hanging down! Absolutely breath-taking! Thanks for sharing this wonderful creation with me! I am in awe! Whoa ~ this is amazing! Jaw dropping! Trudi this is the most amazing creation. 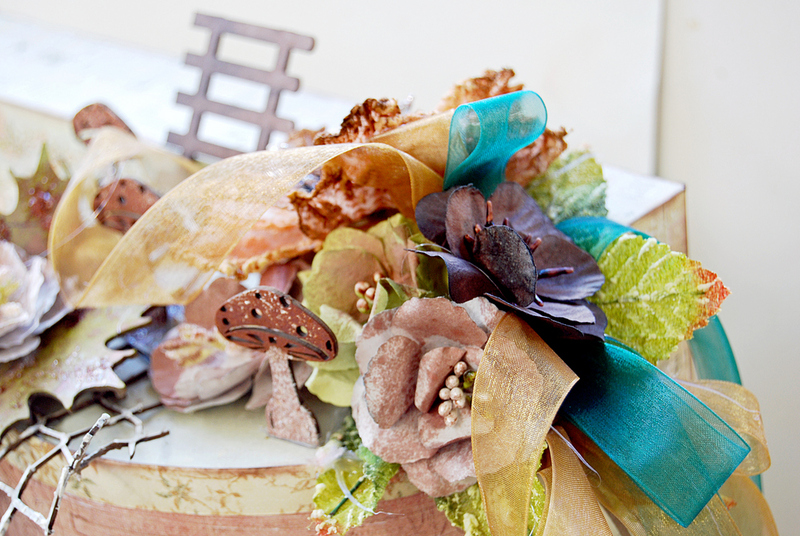 I love all the chippies, the gorgeous flowers, the colour and texture. 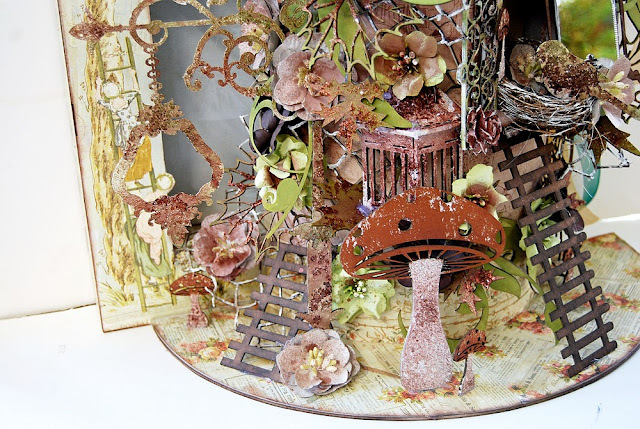 Thank you for sharing your gorgeous whimsical art. OK girl, you're mind obviously goes places mine only dreams about going to. There aren't even words adequate to describe your talent. Thank you for sharing it! Wow, this is over the top amazing. Love it!! Absolutely amazing OTP project !! Absolutely incredible-this stunning piece belongs in a museum.I don't think I have ever seen anything with so much attention to detail and such intricate construction. You are amazing. is absolutely georgeus, amazing, what a beautiful job! [Pick. Jaw. Up. Off. Floor.] OMG, this is stunning!! Just amazing! Any pretty little fairy would love to call this beautiful house Home Sweet Home! I have no words... amazing!! !